The Yale Club had a wonderful experience December 29th when the top-notch a cappella group Proof of the Pudding dazzled 55 folks during a Monday evening concert in the middle of the holidays! The superb quality of the singing drew this crowd. 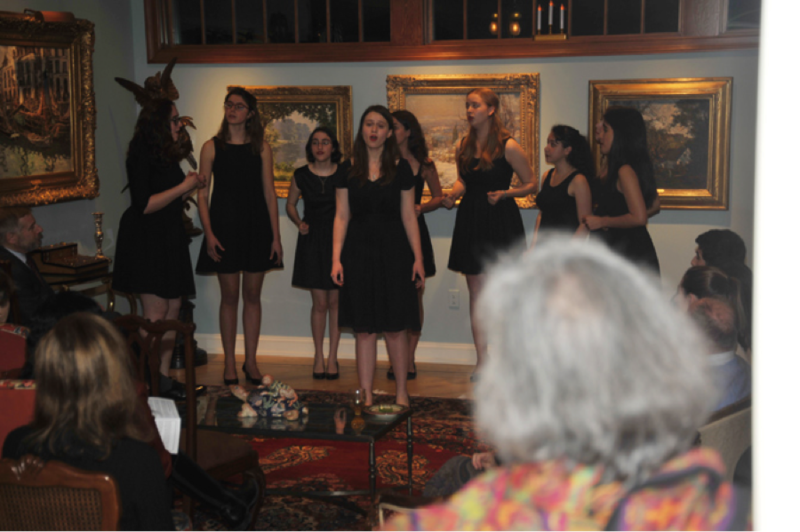 Nevertheless, part of the allure was also the chance to have some close, personal contact with the singers while enjoying snacks and refreshments. A home setting enables this kind of intimate environment in a way that most other venues cannot. The results will get even better, the more events alumni host in their homes. Events become more affordable for all because using a home helps the club avoid hall rental fees. And the attendees enjoy the intimacy and warmth of the home setting. Please contact Jim Hartman, our club’s Supports Chairman, at wonderworks@comcast.net to discuss opportunities to host quality club events at your home.